Whitehorse curling skip Sarah Koltun is hoping her team can catch lightning in a bottle tomorrow. Tournament of Hearts on the line. Canadian women’s curling championships, scheduled to kick off Saturday and run to Feb. 22.
opening draw of the Scotties round robin. followed by the N.W.T. at 3:30. A tie in the final standings will be determined by pre-game draws to the button. “We feel ready,” Koltun told the Star from a still-quiet Moose Jaw this morning. With each team member attending a different university this season, the team has only played a small number of World Curling Tour events. The team met in Moose Jaw yesterday, with members of the team flying in from Whitehorse, Edmonton and Vancouver. “The distance can be seen as a challenge, but this is mine and Chelsea’s 10th year playing together, so it’s just automatic and comfortable,” said Koltun. Koltun’s rink downed Galusha in the territorial playdowns to qualify for the 2014 Scotties, but Horgan will provide a new challenge. “I think we may have played her when me and Chelsea were really, really tiny children at juniors,” said Koltun. “But that gives us no advantage now eight years later. Longtime coach and Scotties fifth Lindsay Moldowan doesn’t think the girls will show any rust tomorrow. If the Yukon rink does qualify for the main draw, competition will be stiffer than ever. Rachel Homan’s Ottawa team will take aim at a Scotties three-peat when the national championship kicks off this weekend. 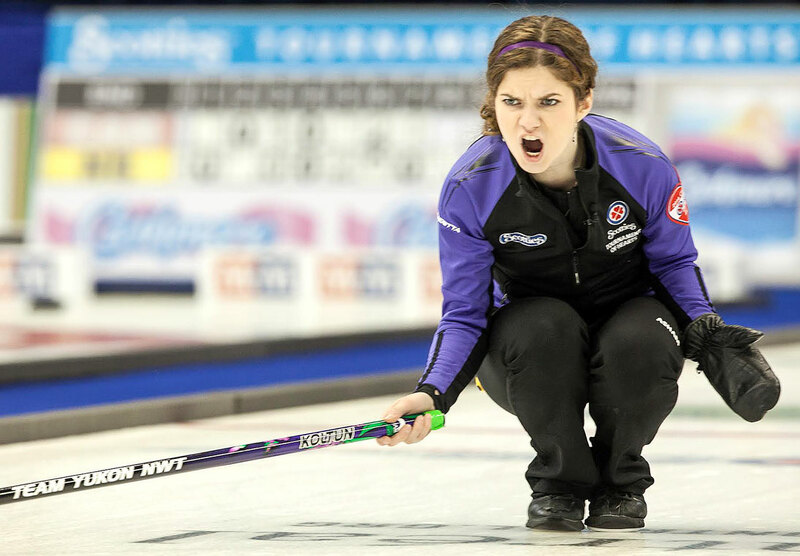 Jennifer Jones (2008-10) – will have to overcome a talented field in Saskatchewan. Not only is Jennifer Jones on hand, hoping to win her fifth Scotties title, but so is Alberta’s Val Sweeting, who lost to Homan in the 2014 final. Koltun led the youngest team in Scotties history to two wins at last year’s event in Montreal, winning the hearts of the nation in the process. It marked the first time since 2000 that the Yukon was represented at the event. This is the first time in Scotties history that a pre-qualification competition will be held. Galusha, from Yellowknife, is shooting for her 12th Scotties appearance, while Horgan, of Sudbury, Ont., is aiming at her third time in the national championship. In local curling news, Bob Smallwood’s perfect tournament season continued to roll along last weekend. 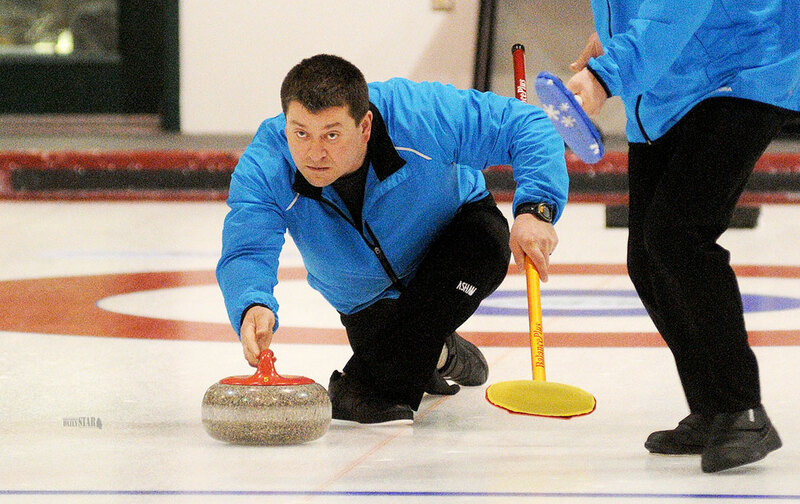 Smallwood teamed up with his wife, Jody Smallwood, on Saturday to best Herb Balsam and Corrine Delaire at the Yukon Mixed Doubles Championships. The win was the Smallwood’s third straight in the event, and came via two straight wins – 8-5 and 12-2. It also continued Smallwood’s perfect season, where he has represented the Yukon at mixed nationals and qualified for the 2015 Tim Hortons Brier. Jody Smallwood said the only blemish on her husband’s season is a recent loss in the Tuesday Night Super League to George Hilderman. However, it will be up to her to keep the streak going at the Yukon Mixed Championship later this month, as her husband will be in Calgary playing a pre- qualification round for the Canadian men’s curling championship.